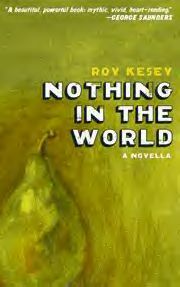 Watch for this novella by Roy Kesey, a fine writer whose stories have been appearing in all the best places of late. Check out the website for a reading near you! >Ooh, I really like the cover! Can’t wait to read it. >It’s gorgeous. I’m excited to read it too! >I didn’t realise Roy’s book was out. I know his work from zoetrope. He is an amazing writer. BTW, I checked out the link to the website and saw that he had a fab endorsement from George Saunders. Cooooool. Thank you for announcing this, Clifford. >Roy Kesey writes great fiction! Can’t wait to read this! ps -I need to locate someone whose attending a NYC or Calif. reading to pick up a signed copy for me. ps -I need to locate someone who’s attending a NYC or Calif. reading to pick up a signed copy for me. At one point Roy was threatening to do a reading in the DC area, in which case I’ll try to go and can get you a signed copy. If not, I got the impression that eventually signed copies will be available on the website.